Are you starting to feel a little bit of Christmas in the air? 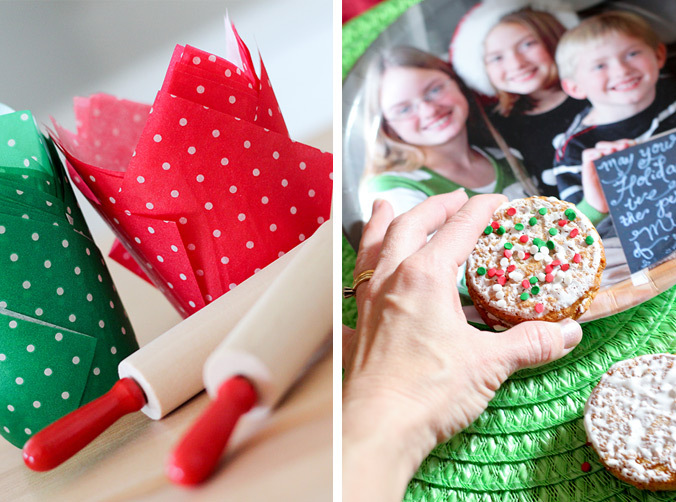 Allison Duda from A Joy Photography and Jenny Dixon of Craft That Party teamed up together to show us how to really throw a fun and stylish holiday cookie party. 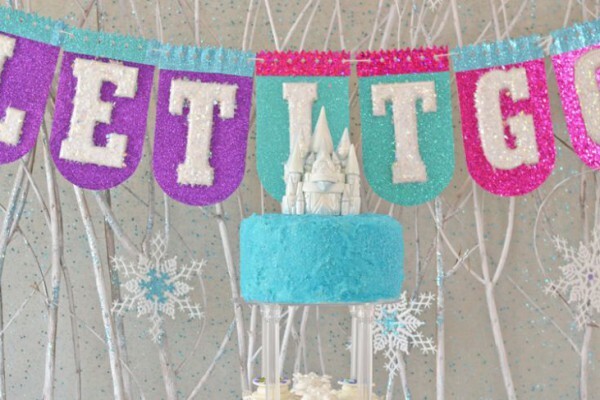 With Christmas now less than a month away, a wintry or Christmas-inspired theme is perfect for kids with birthdays near the holidays, too. 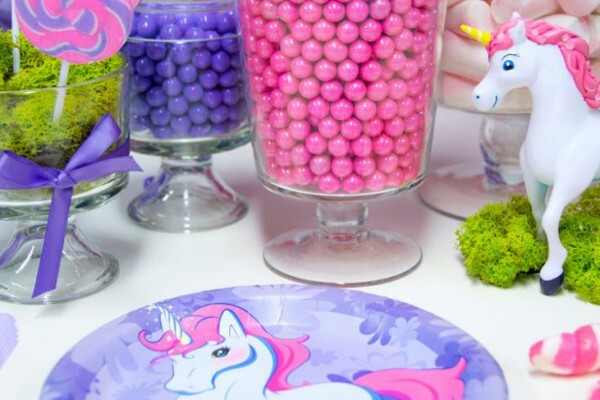 If you want to learn more about birthday ideas for kids with holiday birthday, then check out our Holiday Birthday Helper to get tons of tips on how to make it a super special day. 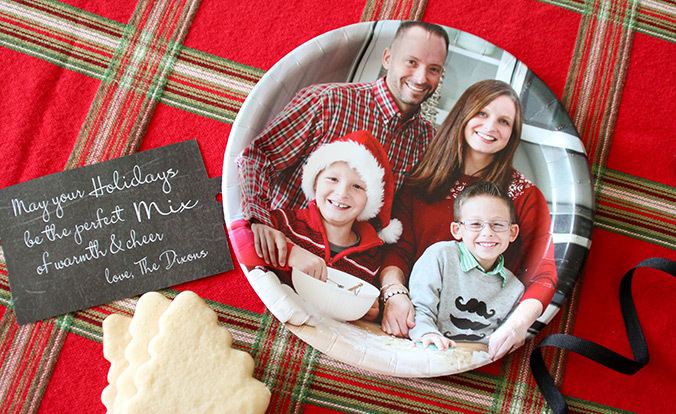 Our brand new Christmas plates are so much more than party supplies – by uploading photos from your computer, or by selecting one from your Facebook or Instagram account, you can design your own party supplies! 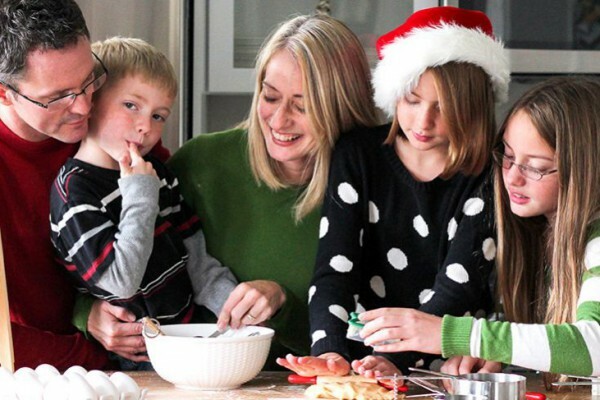 Feature a family photo to create a totally unique holiday party. They also make great gifts: share them with your family, friends, neighbors, teachers and more. 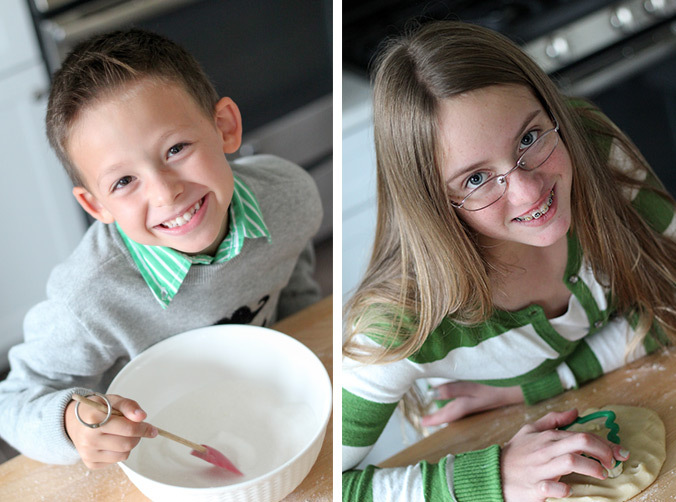 Attach a matching photo card with sentimental seasonal messages (or your favorite cookie recipe!). 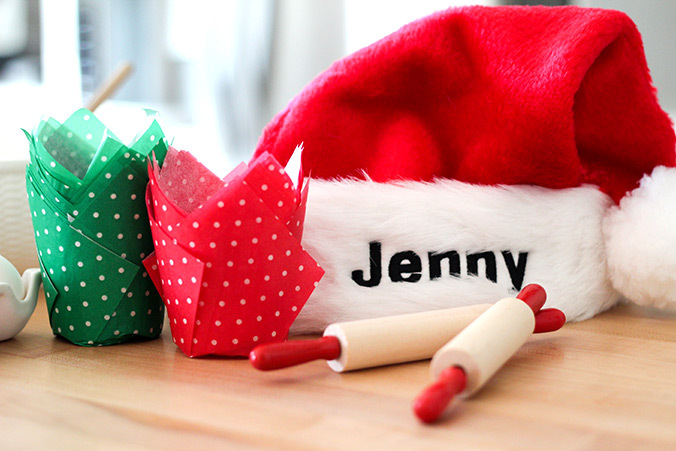 Personalized Santa hats from BuyCostumes.com are great addition to any family Christmas, too! At no extra cost, get any name embroidered onto the hat for a special souvenir. 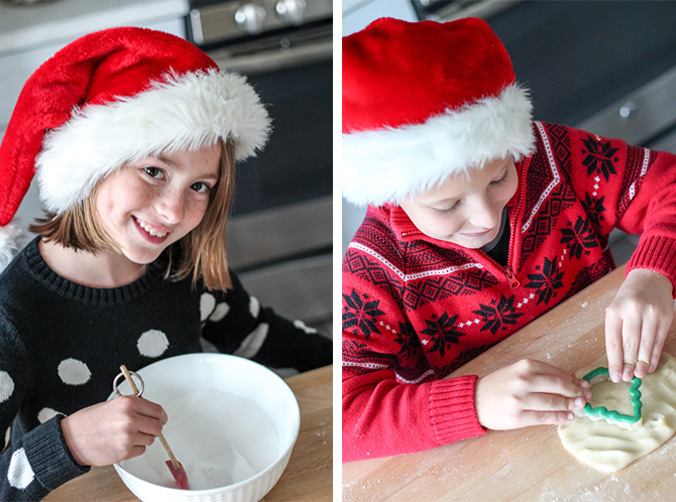 Baking Christmas cookies together is a fun family activity that’s sure to bring everyone into the spirit of the season. 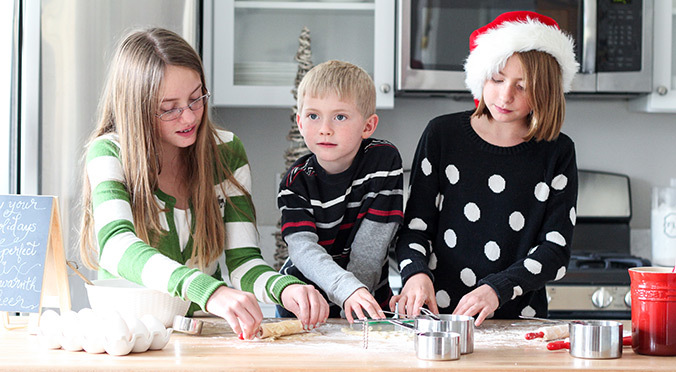 Follow along with these photos and get inspired to start a new tradition with your loved ones. 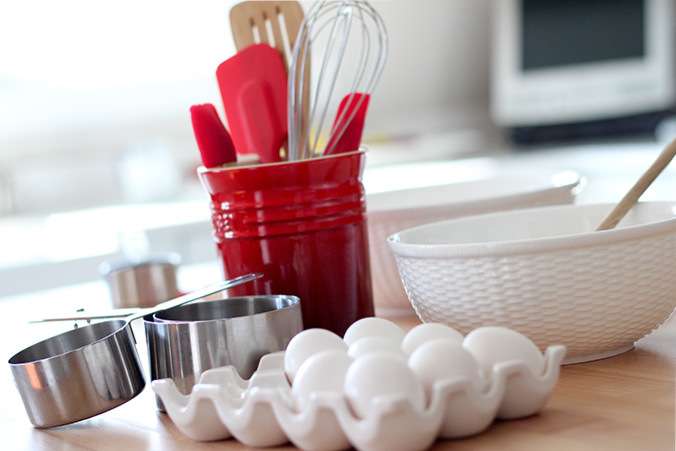 …even if the dough and flour got a bit messy. All in all, a great time was had by the whole family! When you’re finished baking your cookies, frost and decorate your cookie creations however you wish – we used red and green sprinkles for a traditional look, but feel more than free to make them your own! If you liked Allison Duda’s photography featured in the post, she’s created a list of family photo taking tips that you can check out on our blog. 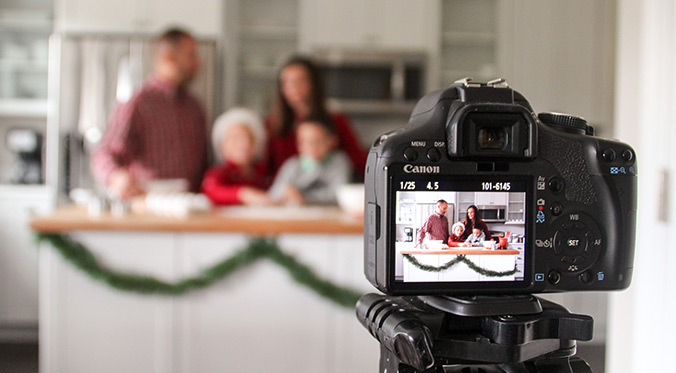 Even if you’re not a professional photographer, you’ll be able to capture these holiday and birthday memories in amazing quality. 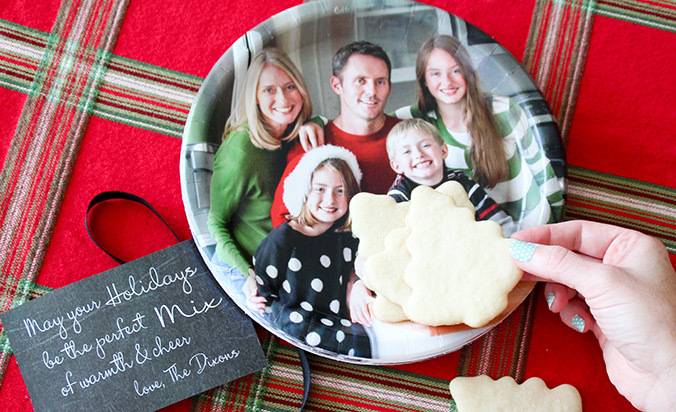 The finished product: picture perfect Christmas cookies to go along with your perfect pictures! 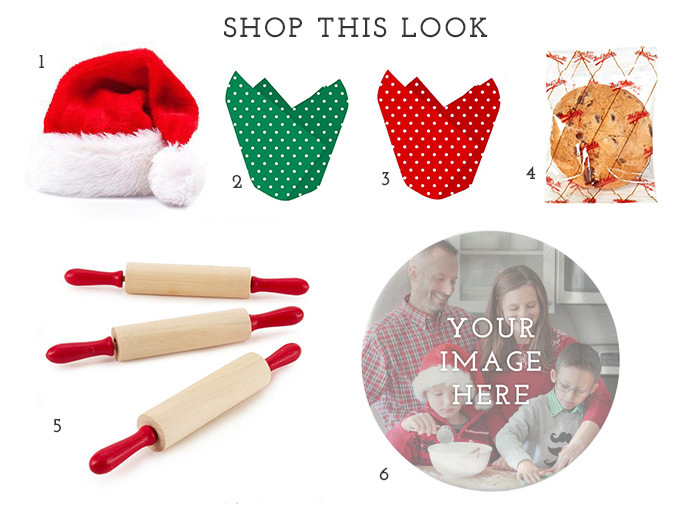 Also, click inside the graphic above to shop these amazing customizable Christmas party plates on Birthday Express, along with everything else you need to celebrate your family’s newest holiday tradition – red handled rolling pins, green and red baking cups, and more. Can you already smell the Christmas cookies baking? How are you celebrating this holiday season? What kind of holiday party ideas should we show off next? If you like this blog and want to see more like it, then tell us what you think! Follow us on Facebook or on Twitter @BirthdayExpress to share your thoughts, or send us a quick email. 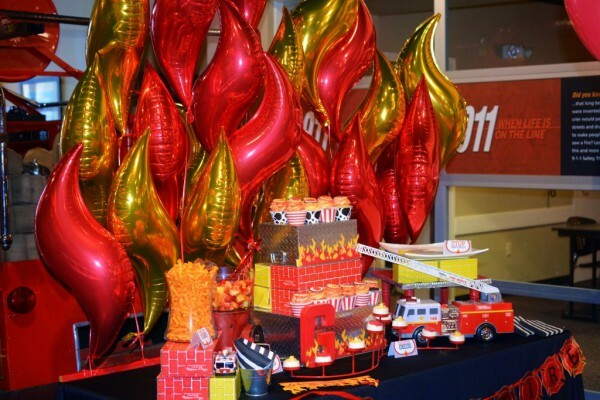 Be sure to check out our Pinterest boards too, where we’re always adding new sources of party ideas and inspiration for every occasion. Click here to view the complete collection of Christmas and holiday party supplies on Birthday Express.